This belonged to my great-grandmother, my great-aunt, my grandmother, and then it was passed down to me. 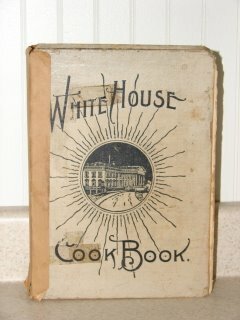 The White House Cook Book, A Comprehensive Cyclopedia of Information For the Home, was first published in 1887. This edition was published in 1912. 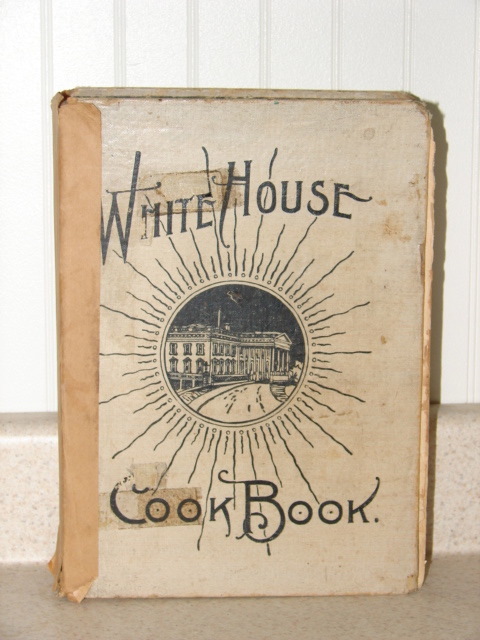 Before there were HMOs, PPOs, and primary care physicians, there was the White House Cook Book, A Comprehensive Cyclopedia of Information For the Home. 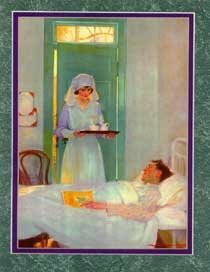 Housewives used this cookbook, as well as others published at the turn of the century, as a health care resource book. My favorite chapter in the White House Cook Book is “For the Sick.” In the beginning of this chapter, the authors write, “Dishes for invalids should be served in the daintiest and most attractive way; never send more than a supply for one meal; the same dish too frequently set before an invalid often causes distaste, when perhaps a change would tempt the appetite.” Here are some of my favorite recipes from that chapter. Nurses, take notes. You’ll be tested over this material the next time someone you know gets the vapors. One Pound of lean beef, cut into small pieces. Put into a glass-canning jar, without a drop of water, cover tightly and set in a pot of cold water. Heat gradually to a boil and continue this steadily for three or four hours, until the meat is like white rags and the juice is drawn out. Season with salt to taste and, when cold, skim. One large cupful of fresh milk, new if you can get it, one cupful of boiling water, one teaspoonful of arrowroot, wet to a paste with cold water, two teaspoonfuls of white sugar, a pinch of salt. Put the sugar into the milk, the salt into the boiling water, which should be poured into a farina kettle. 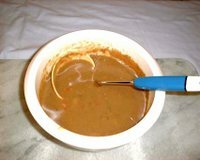 Add the wet arrowroot and boil, stirring constantly until it is clear; put in the milk and cook ten minutes, stirring often. Give while warm, adding hot milk should it be thicker than gruel. Doesn’t this sound good. But wait, there’s more! Take stale pieces of crust of bread, the end pieces of the loaf, toast them a nice, dark brown, care to be taken that they do not burn in the least, as that affects the flavor. Put the browned crusts into a large milk pitcher, and pour enough boiling water over to cover them; cover the pitcher closely, and let steep until cold. Strain, and sweeten to taste; put a piece of ice in each glass. This is also good, drank warm with cream and sugar, similar to coffee. We all may be using these home remedies if drug cost keep going up, and HMO’s continue to block patients from getting the care they need. Anyone hungry for a nice hot bowl of gruel? I am shocked-- not one mention of chicken noodle soup. Call me crazy, but I may try the Toast/Crust Tea! Kim, I would never call you crazy. I admire anyone who is adventurous. Please report back to us when you tryout the recipe. National Nurse, I also was amazed that chicken soup wasn’t mentioned in the chapter. What’s up with that? It’s a well known fact that chicken soup cure everything. I too, was just given the 1905 version of the book which was my great grandmothers then my Great Aunt, given to my mother's cousin and then to me today. I spent the day reading it. Fasinating! I noticed medicinal Opium used quite a bit...and turpintine and borax used to ingest! Scary. How about the advice on choking. "You may be able to push it down the throat" EeeK!